book did not read Charles Darwin in Arabic. Instead they read Jean-Baptiste Lamarck, Ernst Haeckel, Herbert Spencer, Thomas Huxley, Gustave Le Bon, Henri Bergson and George Bernard Shaw in European or Arabic versions. They also read popularizing accounts of various aspects of Darwinism in the scientific and literary journal al-Muqtataf (“The Digest”, 1876–1952). The notion of evolution that Arab readers took away from their reading was often heavily infected by Lamarckism and by the social Darwinism of Spencer. 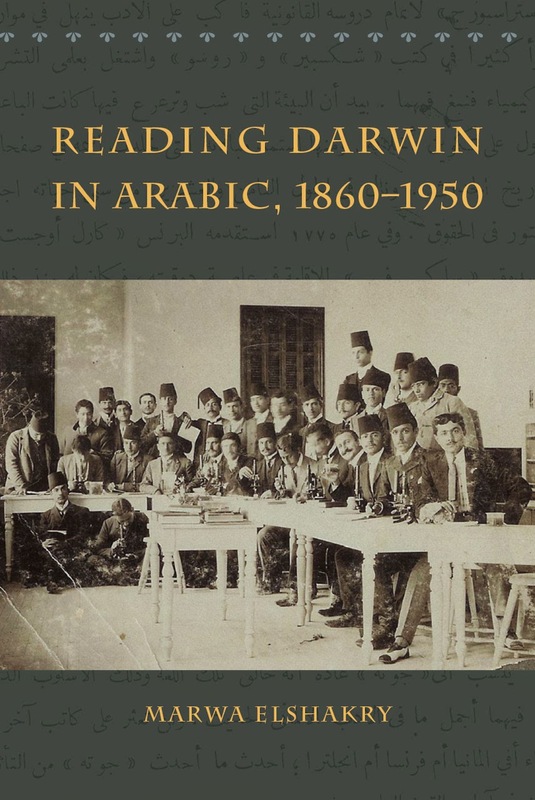 Darwin’s The Origin of Species by Means of Natural Selection was published in 1859, but Isma‘il Mazhar’s translation of the first five chapters of Darwin’s book into Arabic only appeared in 1918. For a long time, the reception of Darwinism was bedevilled by the need to find either neologisms or new twists to old words. As Marwa Elshakry points out, there was at first no specific word in Arabic for “species”, distinct from “variety” or “kind”. “Natural selection” might appear in Arabic with the sense “nature’s elect”. When Hasan Husayn published a translation of Haeckel, he found no word for evolution and so he invented one. Tawra means to advance or develop further. Extrapolating from this verbal root, he created altatawwur, to mean “evolution”. Darwiniya entered the Arabic language. Even ‘ilm, the word for “knowledge” acquired the new meaning, “science”. With the rise of scientific materialism came agnosticism, al-la’adriya, a compound word, literally “the-not-knowing”. The debate was prolonged and bitter, yet, on the showing of Elshakry’s thoroughly researched book, it strikes me as lacking in exhilaration. The vast vistas of time conjured up by Lyell and Darwin, the molten landscapes, the reign of the great monsters, the excitements of the fossil hunts and the quest for the missing link, none of these things seems to have struck an imaginative chord in Egypt, Syria or Lebanon. 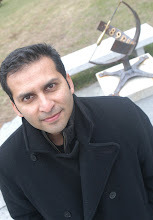 There is little or nothing in the Arabic literature of the Nahda, or “Renaissance”, in the late nineteenth and early twentieth centuries, that can be compared to Conan Doyle’s The Lost World, H. G. Wells’s The Time Machine or Olaf Stapledon’s First and Last Men and nothing, I think, to parallel the subtler exploration of Darwinian themes in George Eliot’s Middlemarch or Joseph Conrad’s Lord Jim, or, for that matter Darwin’s own rhetoric. The Origin of Species had concluded with these words: “There is grandeur in this view of life, with its several powers, having been originally breathed into a few forms or into one; and that, whilst this planet has gone cycling on according to the fixed law of gravity, from so simple a beginning endless forms most beautiful and most wonderful have been, and are being, evolved”. The embrace of evolutionary ideas was closely bound in with political considerations. Instead theologians, scientific popularizers, polemicists and journalists sought either to reconcile the new ideas with the Qur’an or to deny their validity on the grounds that they could not be so reconciled. In these debates Darwin’s The Descent of Man was more fiercely attacked and defended than The Origin of Species. Muslim polemicists against Darwinism gratefully borrowed the Protestant theologian William Paley’s analogy of a watch found abandoned on a beach, since the intricate design of such an instrument surely argued irrefutably for a designer. The Islamic reformer and activist Jamal al-Din al-Afghani (1839–97) produced an early and intemperate attack on Darwin that was clearly not based on any direct acquaintanceship with his ideas (though Afghani later softened, and claimed that there was not a lot that was new in Darwinism, the Arabs having got there first). On the other hand, his leading disciple and pioneer of Islamic modernism, Muhammad Abduh (1849–1905) became an enthusiast for the social Darwinism of Spencer and he was actually introduced to the great sage by his friend, the poet, Arabist and anti-imperialist Wilfrid Blunt. As was the case with reception of Darwinism in China, embrace of evolutionary ideas was closely bound in with political considerations, especially the challenges posed both by the West’s ideology and its military might. Science was now understood to be primarily Western science. Those who, like Abduh, broadly supported the theory of evolution were accused of being accomplices of cultural imperialism avant la lettre. The scramble for Africa was seen as the product of a political version of natural selection. Darwinism was denounced as part of the ideology of empire and something that underwrote the Anglo-Saxon claim to supremacy. In particular, the editors of al-Muqtataf, who drew so heavily on British publications, Ya‘qub Sarruf and Faris Nimr, were regarded with suspicion by Egyptian nationalists and, in fact, the editors seem to have had good contacts with Lord Cromer, the proconsul in Egypt from 1883 to 1907. In 1952, the year Nasser came to power, al-Muqtataf was forced to close. On a non-political level there was much that was peculiarly British in The Origin of Species and some Arab readers were probably repelled by Darwin’s intense interest in dog breeding. On the other hand, prominent supporters of Darwin and Spencer enthusiastically embraced the new foreign ideas as tools that might free them not only from the British presence in Egypt, but also from Ottoman and Khedivial despotism, as well as the shackles of what was seen as an outworn religious tradition. Spencerian social Darwinism, with its application of the concepts of natural selection and survival of the fittest to sociology and politics, could be read as offering hope for the regeneration of the Arab world. Okay, this should whet your appetite for the book. Read the full review here. Thanks for your summary! A few of us have been working on understanding the contemporary reception of biological evolution in the Muslim world and you will start seeing some of our results soon. Will keep you posted.